When Barry Fairbrother dies in his early forties, the town of Pagford is left in shock. Pagford is, seemingly, an English idyll, with a cobbled market square and an ancient abbey, but what lies behind the pretty fa ade is a town at war. Rich at war with poor, teenagers at war with their parents, wives at war with their husbands, teachers at war with their pupils Pagford is not what it first seems. 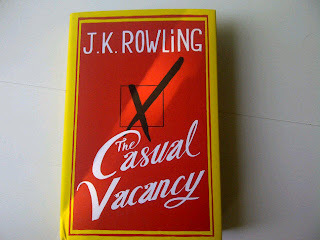 Yes, it finally is release day for The Casual Vacancy by J.K. Rowling. I pre-ordered it a month ago to make sure I would have it on the release day as I am really excited about the book. I am not even sure if I will really like it, because it is quite different from what I usually read, but I am just so curious to read a novel bij J.K., that is not Harry Potter related. I will review the book (without spoilers) as soon as I am finished, which might take a while as I'm quite busy due to school. Any of you who received the book today as well or is just beyond excitment to read it, or maybe dreading to read it? Let me know! I just got it in the mail today, I'm beyond excited to read it! 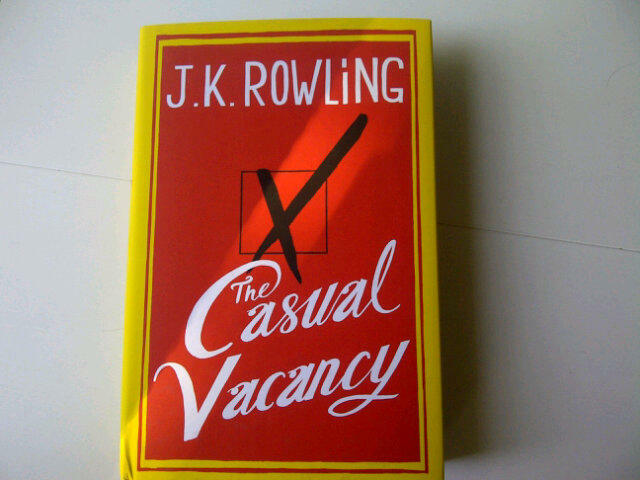 I'm kind of scared that my expectations of this book are way too high, but I don't care: new book by J.K. Rowling, aaaah!